Christmas is almost here! Yes, we still have Thanksgiving and believe me, I haven't forgotten about that amazingly-wonderful holiday (more on that next week), but there ARE those few important things that require quite a bit of planning prior to Christmas... and family holiday cards is probably the highest on my list. If you've been following us for a while, then you probably already know that the only company we work with, to do our formal announcements or invitations, is Brightside Prints. 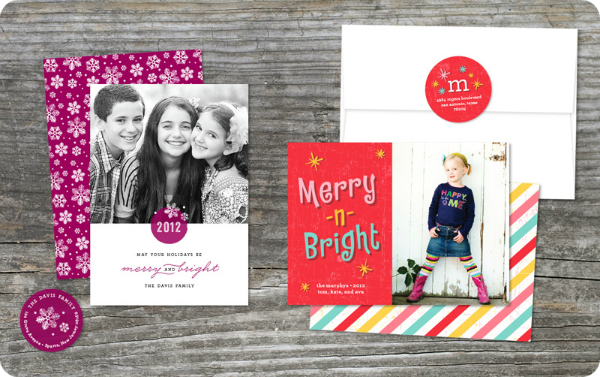 Although there are already over 100 beautiful holiday designs to choose from in their shop, Brightside Prints went even further and added a few new holiday prints for their 2012 collection! They've even added additional designs just for holiday parties! I love them!... 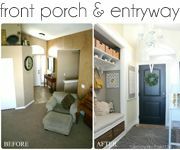 for a lot of the same reasons that I always do; amazing designs that are both on-trend, yet still classically beautiful and timeless. Brightside Prints features fresh and modern designs from an all-women team of professional designers. Every order is prepared by a real human graphic designer, to make each detail perfect! Designs are printed using a state-of-the-art press, the highest quality, eco-friendly papers and Brightside Prints provides a custom design experience and complimentary printing on the back of every card... which by the way, makes it SO much cuter! I still swoon over these mini Valentines Day cards that we ordered from Brightside Prints last year. They turned out perfectly and the girls were SO excited to have their pictures to hand out to their friends... and (ehhem) cute boys, with their candy. Every design is tailored to fit your style. You choose the colors, wording and your custom backer can feature a coordinating pattern, more photos, directions, letter, or message. 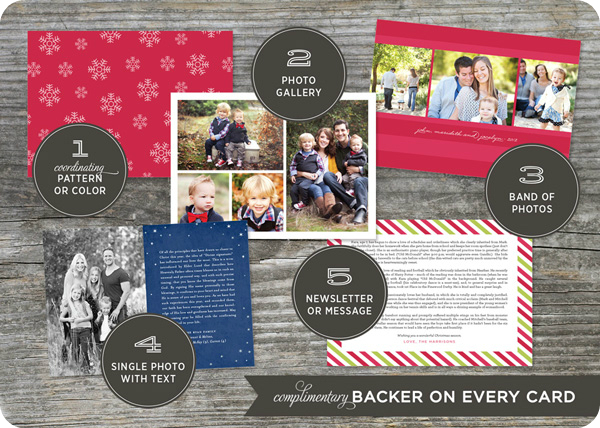 PERFECT for a family update on the back of a holiday card! 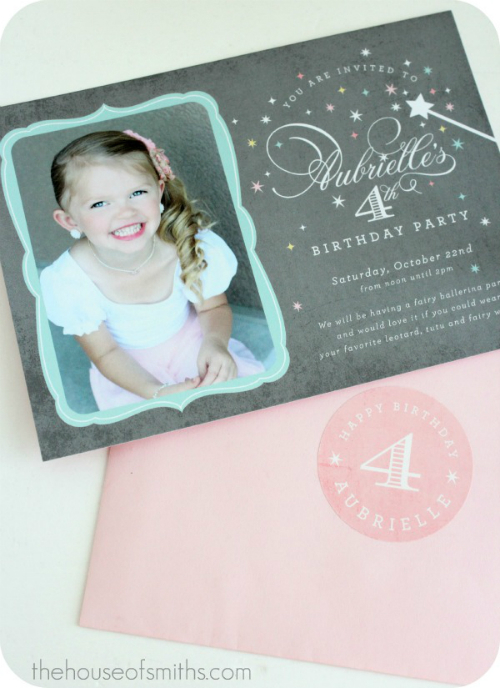 When I worked with Brightside on Aubrielle's Fairy Ballerina birthday party invitations, I was SO happy with how patient and quick my designer was. Even silly things, like changing specific fonts to exactly what I wanted were not a problem. As someone who is really specific about design... I LOVED that. 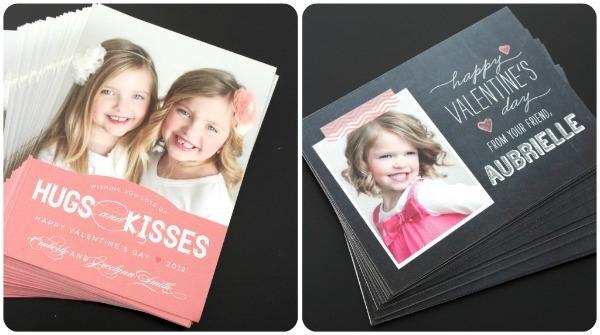 Brightside Prints gives you lots of additional options with bamboo paper, pearl paper, double thick, or die cuts. 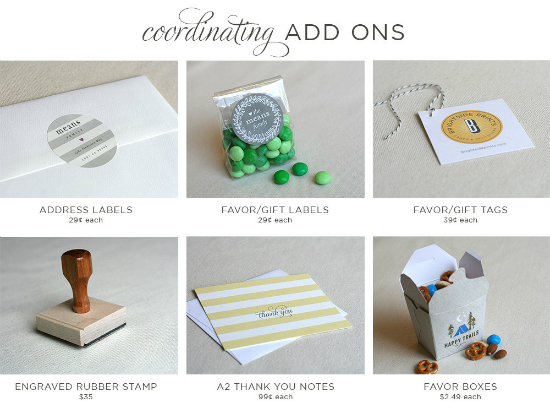 Also, coordinating products including labels, tags, thank you cards, and colored envelopes can be ordered through them! It's all the little extras that make a special occasion really "special"... don't you think? ...but we couldn't get our act together in time to send out a formal Christmas card for our little family of five, like I wanted to and that's why THIS year I'm thinking WAY ahead. 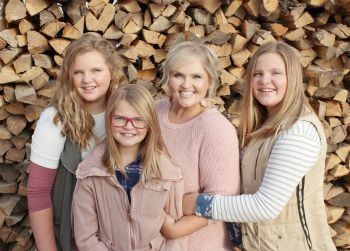 We have family pictures scheduled with the oh-so-talented Laci Davis, who took our last set of stunning family photos, in a few days and I'm exhausted! I mentioned this on our Facebook page earlier, but I'll say it again... pulling family photo shoot outfits together is hard! I did tons of research and it's all just confusing. Coordinate but don't match; use prints, but not too many; wear bold colors, but don't go crazy; make it look effortless. 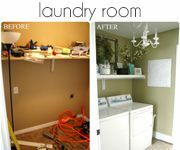 I'm trying to come at this task like I would if I were decorating a room (because it seems to be following the same rules), but the RIGHT clothes are SO much harder to come by than a cute pillow or the perfect lamp. Here's what we've got so far, minus a colorful tie and a few other accessories. Oh... and yes, don't worry, Cason's going to be wearing pants too. whew! 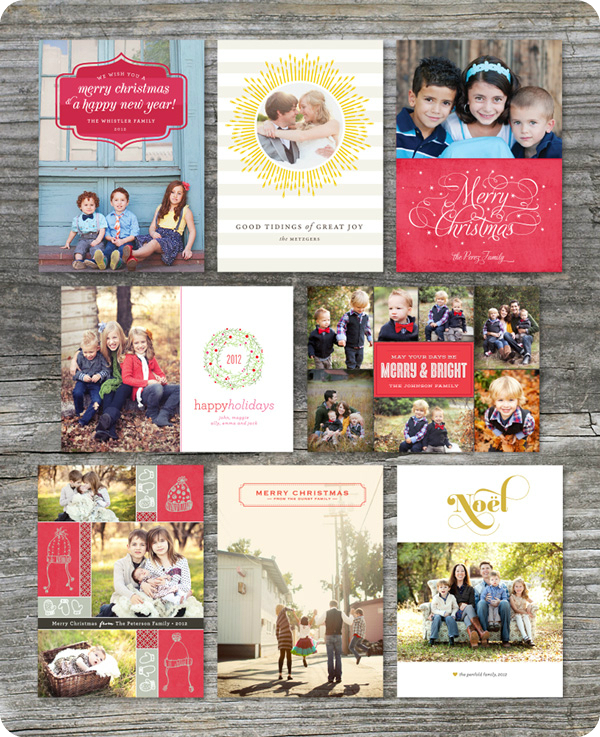 Do you send out a holiday card each year? Have you got the perfect photo ready yet? Well, if you answered yes, then I've got an awesome deal for ya! 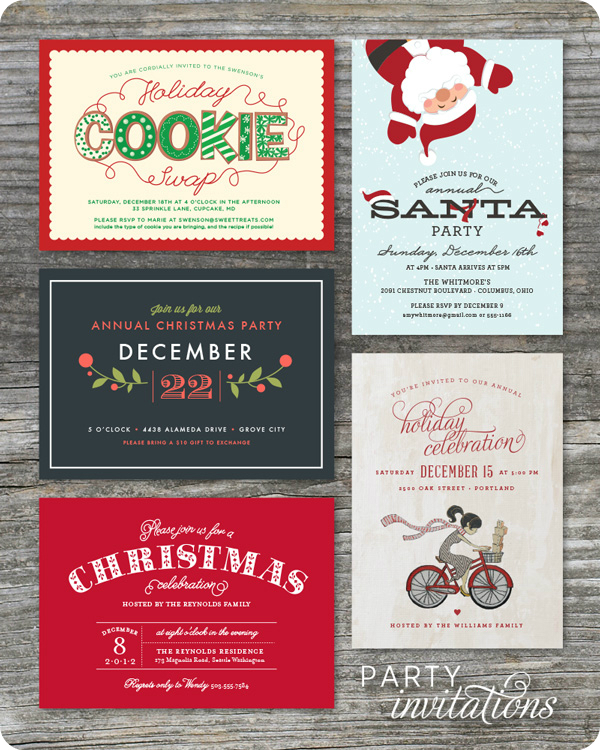 Brightside Prints is offering FREE coordinating address labels with every holiday order before November 15th! An additional 10% off all products with the discount code "smiths"
... which is always good to use, and never expires! I'm beyond excited to get these pictures taken, so that we can switch out our old ones in our photo gallery for new ones AND use one of the shots for the perfect Christmas card! I seriously can't wait to show you how it all turns out. Eeee! I love the outfit choices! Please do more fashion posts!!! Love, love, love these designs! And I think the outfits you picked out are PERFECT. I hope we can get our act together for a Christmas card, but for sure those Valentines. 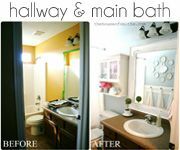 Thanks for sharing this great info.! Love the family photo outfits! Maybe a coral undershirt for your hubby? Just a peak of that color to match your daughters skirt would look fab. I know not the easiest color to find for men... because they are so fond of it. You always pull it together! 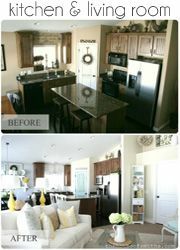 I am sure they will turn out amazing shelley!!! thanks for sharing this awesome company with us. love them already. Sounds like a great company and I will definitely be looking in to them. I love the outfits you picked out and think they look great together. 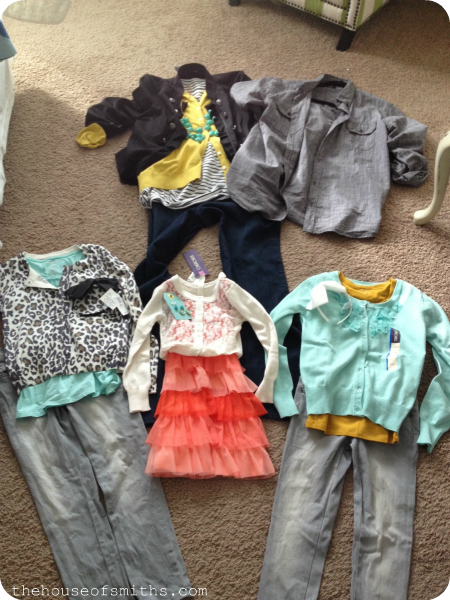 I really like the pop of the pink that your youngest will be wearing!Can;t wait to see your new pictures! I agree, family picture time is SO stressful! Your outfits all look great though and I'm sure they'll be darling! not very tradionally christmassey but i love them!!! I cannot wait to see the photos. The clothes are EEEEKKKK.....adorable!! I would like them in all of our size please!